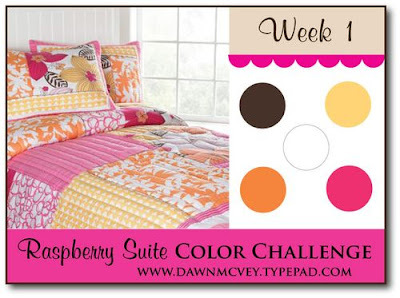 Dawn McVey posted her first color challenge, Raspberry Suite Color Challenge #1, and I must say...IT'S FABULOUS! 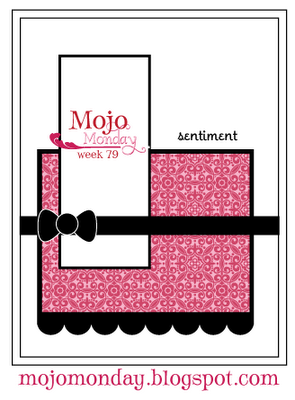 I paired the colors with the wonderful Monday Mojo sketch #79. Beautiful work! I was thinking pink when I saw the picture but I like your take leaning toward more yellow. Thanks for sharing! 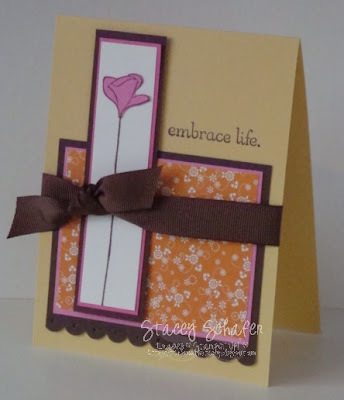 Fab card & great job on combining the challenges!!! Nice combo of the color and sketch challenges. This image is perfect for this layout. It's so pretty! Great job with both sketches. That flower is great for this sketch. Very pretty! Love the flower!